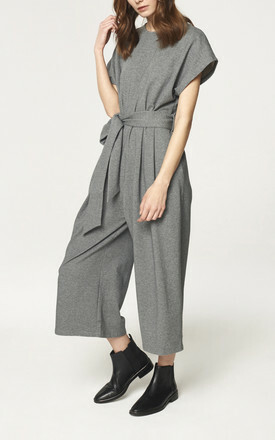 Step out in style in our new season colourway cropped jersey jumpsuit. 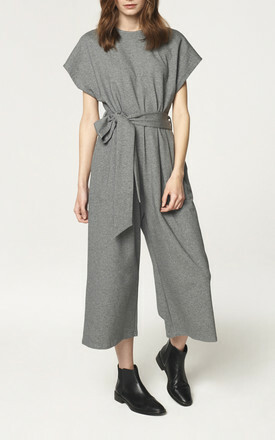 This charcoal jumpsuit is designed in a relaxed fit, with a wide adjustable belt and side pockets. Pair with ankle books for a casual day out. The sizing on this jumpsuit has been updated and it is slightly more fitted than our AW17 light grey jumpsuit.